The Render & Texture Specialists, spreading satisfaction since 1985. The Freshlook Plastering team have been providing builders, developers and home owners, quality solid plastering and rendering services for over 30 years throughout South Australia and Europe. As a small business, we pride ourselves on quality workmanship, which shows in all our finished work. We remain a small business for a reason, and that is to control and maintain our high standards. We believe in only using quality products which are guaranteed to last and maintain the finishes we require. We believe "quality" is a key factor. At Freshlook Plastering we promise to give our customers the best quality work possible at all times. To achieve this we feel that one has to : · Understand different surface properties before applying products. · Be highly skilled and accurate when applying products. · Be able to use products with guidelines as specified from the supplier. My name is Ryan Robinson, I am the Owner of Robinson Rendering. We offer nothing but the highest quality of workmanship, professional and friendly customer service and advice. We provide good old fashioned style service to property home owners, and also builders, where they never have to worry about a thing. If you are looking for an experienced renderer and plasterer, then please contact me, and feel free to check out my website for more details. Lowes Rendering is one of the leading names when it comes to rendering services in Adelaide. 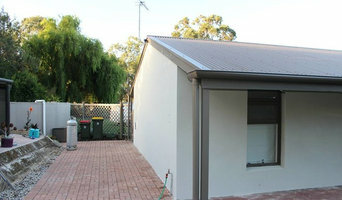 We have completed numerous residential projects across Adelaide. 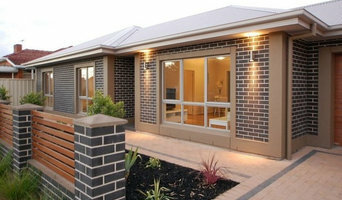 We offer professional and affordable house rendering services in Adelaide to complete your dream house. Call us today for the satisfactory Rendering Services! From ultra modern acrylic renders & texture coatings, to Traditional & Heritage solid plastering and cement render. We offer new and inovative ways to bring your home or project to the next level, and love to work with people and bring their ideas to life! So whether you’re building from scratch, renovating or restoring a heritage house, browse our directory of Scott Creek, South Australia plasterers, renderers and manufacturers of plaster products for creative solutions for walls, ceilings, columns, arches and cornices. What can a renderer and plasterer in Scott Creek, South Australia do? Find Scott Creek, South Australia rendering and plastering services on Houzz. Scroll through this page to find rendering and plastering professionals in your area. Just enter your suburb in the top field to narrow your search. Get contact information or message professionals directly so you can ask about rates, and read customer reviews.